The movie Man on the Moon asks its viewers the question, “Was Andy Kaufman crazy or a genius and before his time?” After first watching the movie back in 1999, I felt like I really couldn’t tell. I mean, it seemed like they were implying he was the latter, but witnessing all of his odd ways and perspectives in his life made me think he really was crazy. But then, how did he manage to get on TV if he was? WHAT SEEMED CRAZY BEFORE: He hated doing Taxi, his most successful stint in show business. WHAT SEEMS GENIUS NOW: Entertainment, including TV entertainment, is art. Not everyone agrees on what is art and what is not, but one thing is for sure: an artist does the art and the people make up their own minds about it. Andy hated it because it was comedy in a can: a script with set-up jokes, lines that have to be memorized, audience laughter heard to essentially tell the viewers at home what is supposed to be funny, etc. Andy didn’t want that. He wanted to do his art. Whether that was impersonating Elvis or insulting audience members, it must be his and on his terms. We all say we love Van Gogh’s paintings, but you gotta know that back in his time there was no shortage of people who thought his style was just plain weird. Didn’t matter, though. Van Gogh was making his art. Whether or not you approve it beside the point. WHAT SEEMED CRAZY BEFORE: He would purposely try to anger people and trick them. He would even make a joke or pull a prank on his audience in such a way that only he would find funny. WHAT SEEMED CRAZY BEFORE: He played jokes that only he would find funny. WHAT SEEMS GENIUS NOW: As we mentioned before, artists march to the beat of their own drum. But on top of that, it’s like Kauffman is still making comedy posthumously. We can look back on those jokes now and laugh, even if we didn’t get them then. And the fact that there were rumours about his death being a hoax would be music to his ears. 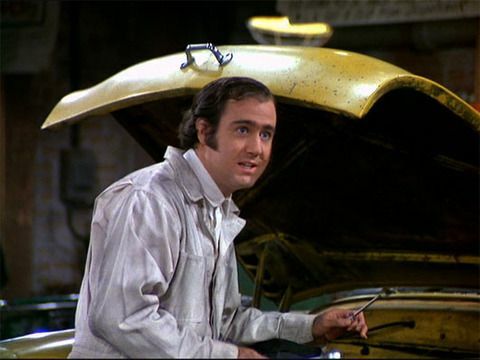 Any artist’s dream is that they’re art outlives them, and maybe Andy Kaufman reached that goal on a deeper level than any other television star. I don’t believe he faked his own death but I do believe they put a man on the moon and that Andy Kaufman was truly a genius before his time. Congratulations Man on the Moon. This is your week. Best Actress: Kate Winslet in Eternal Sunshine of the Spotless Mind. 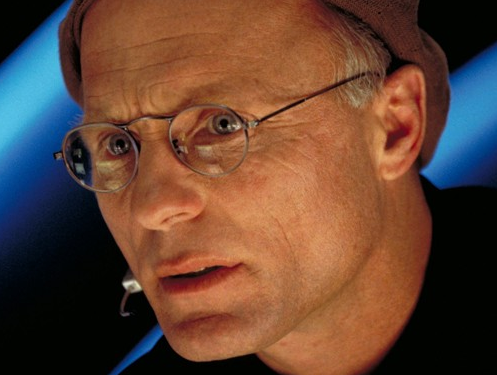 Best Actor: Besides Jim, I’d say Ed Harris as Christof in The Truman Show. 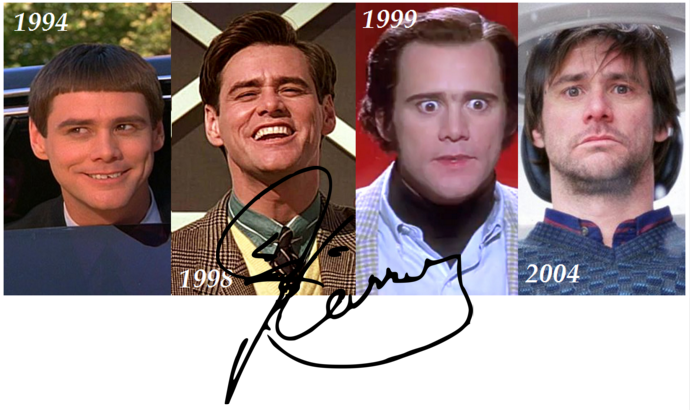 One of the funniest and most versatile actors to ever come out of Canada. In fact, one of the funniest and most versatile of all time. Which of his movies should be our movie of the week? Who is today’s Marilyn Monroe? Will you agree with my choice? Captivating beauty. It’s not her looks. It’s more. We are inundated with beautiful people pics every day, but every photo of Marilyn seems different. It’s a work of art. 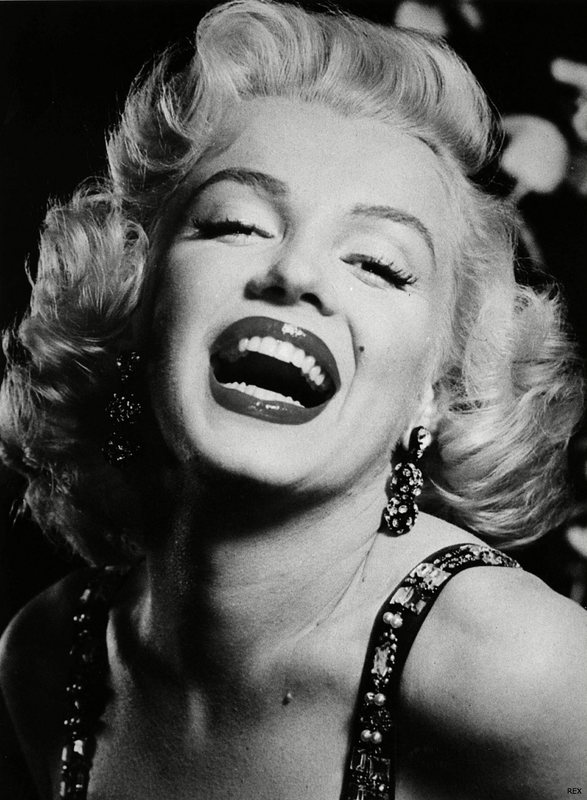 Norma Jean was already beautiful, but a new persona captivated the world. It was a perfect storm: a combination of a giant team effort (done by make-up artists, photographers, directors, fashion designers, hair stylists, and even all of us) and a fantastic serendipity. Glamour and Style. I’m not sure how to define, much less quantify, glamour. It’s like a magical spell that’s cast by charisma, charm, seductive dress, expensive living, and a flurry of flash photography. It’s like everyone wants to not just see the beautiful photo, they want to live vicariously through the celebrity. They want to hear about them, see them in different circumstances, and know the latest scoop. Talent. Many criticisms are made about this queen of celebrity, but if she had no talent she would have remained a model, not a movie star. There are too many women to mention who have comparative talent, but there are a few that come especially close considering the other criteria here. A Household name. This one is harder than we think. There is no shortage of ridiculously famous people in our culture, but to truly be deserving of this designation, anyone and everyone ought to know your name and be able to describe who you are. Notoriety. “Those dresses!” “Those photos!” “That seductive ‘Happy Birthday’ performance!” “She slept with the president! !” Marilyn’s life swirled with rumours, presumptions, scandal, and served as a fuel for delicious gossip for society. That’s right. Angelina Jolie. In every one of the above she seems to come out on top compared to other female celebrities. For the most part she beats out all the front-runners listed in each category. With a few minor exceptions (e.g. Jennifer Lawrence is arguably more talented), Jolie has the look, the style, the fame, the X Factor and the tabloid headlines to reign as an early 21st century Marilyn. She’s not the queen; not even an heir. But she puts the crown on and wears it well. Congratulations Some Like It Hot. This is your week. 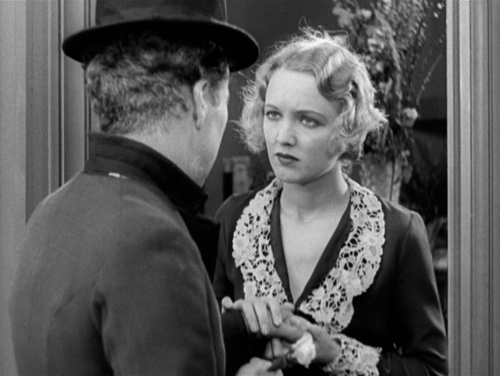 Best Actress: Other than Marilyn, Virginia Cherrill gets this week’s win for playing the blind love interest to Charlie Chaplin in City Lights. Best Quote: “Tomorrow the birds will sing.” — Charlie Chaplin as the Tramp in City Lights. But there will never be another. The Massachusetts Institute of Technology (MIT) has created what they call the “Pantheon Project.” It seeks to rank the most famous people of all time—all of them! That’s any person who has had any degree of fame whatsoever from 4000 BC to 2010. Everyone from philosophers to politicians to athletes to entertainers are rated on a number of different data sources. It’s a fascinating project, and this week’s picks come from the top 3 most famous actors of all time worldwide according to the list: Marilyn Monroe (#143), Bruce Lee (#233) and Charles Chaplin (#243). The following movies are the highest rated from each actor’s filmography on IMDb. Which one do you think deserves movie of the week? So do you think you’ve ever done something because a movie made you do it? It’s easy to say no, just like we’d say no commercial has ever made us buy something. We make the decision ourselves, right? Well, there are definitely times that a movie has made such an impression on our culture that we don’t realize it’s impact on each one of us, and that we, indeed, have done something because of the compelling persuasion of a film. If you asked people who were alive in the mid-70’s. More than likely they will be able to tell you about the summer of 1975 when Jaws was released. They will tell you that people were afraid to swim in the ocean because of that movie. And if they’re really honest, they’ll tell you they were afraid to as well. Imagine that: a 2-hour story that involves a mechanical shark actually caused millions of people to think twice about going in the water. There are others. 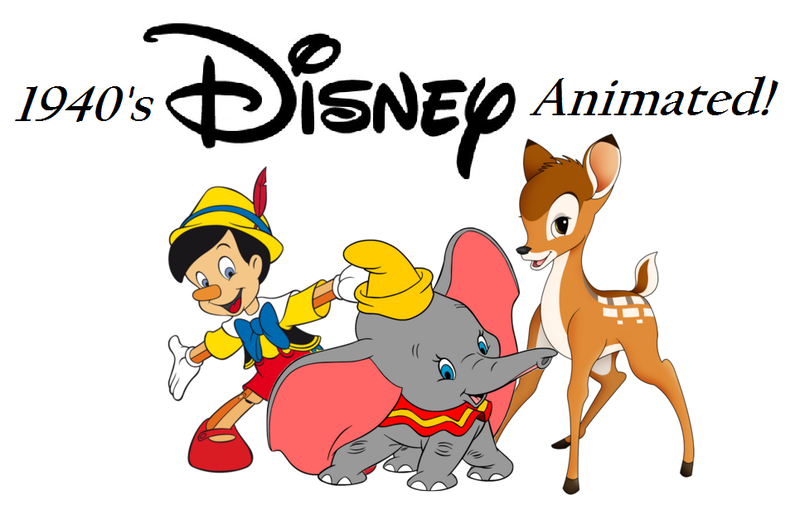 Have you ever said, “Oh my!” after hearing someone say, “Lions and tigers and bears”? I bet you have. We all have. It’s almost impossible not to say it when we hear these five words strung together. Sometimes when joking around we might strike the “Stayin’ Alive” pose (Saturday Night Fever) or the crane technique pose (The Karate Kid) to get a laugh. And remember in the 80’s when dressing like a skateboarder was cool? You can thank Fast Times at Ridgemont High for that. We’ve all done things because of the movies. Legendary director Howard Hawks (Bringing Up Baby, The Big Sleep) defined a good movie as one that has at least three good scenes and no bad ones. That’s a great definition. But to add to it, I’ve always thought of a good movie as being one that can either make you think, or make you feel. But making you do—that takes a special movie. And you can’t just decide a to make a movie that will do that. A director can aim to make the audience think or feel, and many have been successful in doing so. But causing an entire society to “do” or “act” is something that almost has to happen on its own. 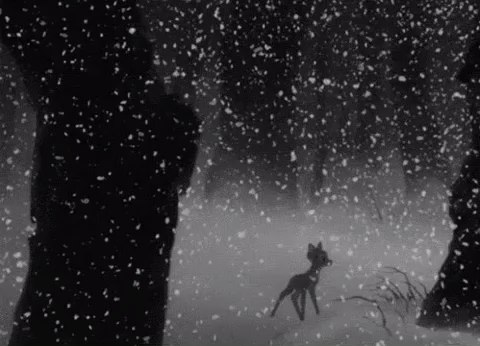 And that’s where Bambi proves to be such a special film. It made a lot of people second guess the idea of hunting. Academic theses have been written about this movie’s influence on the anti-hunting movement. 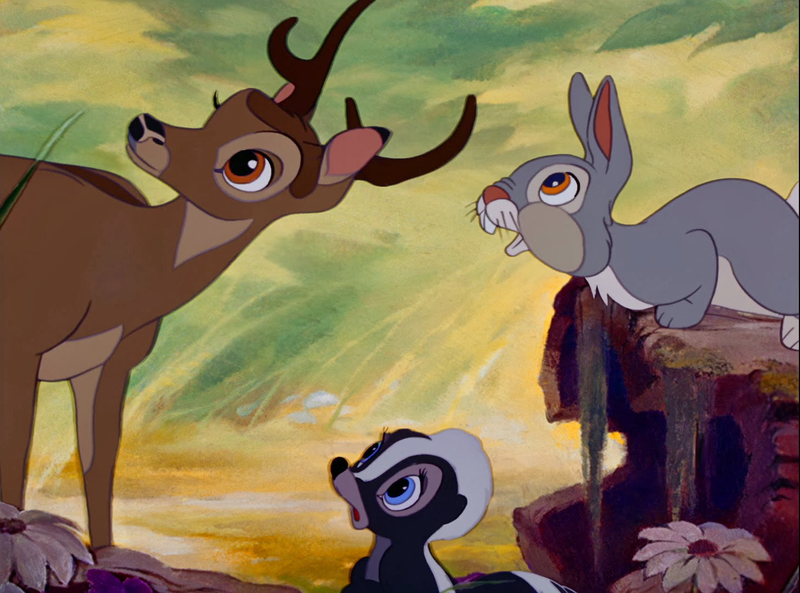 Paul McCartney cites watching Bambi as the reason he grew up thinking hunting “wasn’t cool.” Personally, I’m not against hunting and I do eat meat, though I have no problem with vegetarians or people against hunting. To each his own. But this little fawn made one huge hoof print in our culture. 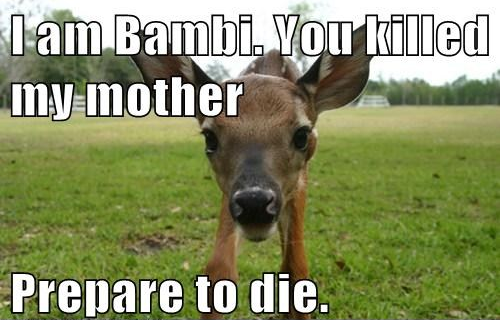 Congratulations Bambi. This is your week. Best Actress: Verna Felton as both Mrs. Jumbo and the Elephant Matriarch (the elephant you hate most) in Dumbo. She also gave her voice to one of the fairies on Sleeping Beauty, the fairy godmother in Cinderella, and Aunt Sarah on Lady and the Tramp. Best Actor: Cliff Edwards as Jiminy Cricket in Pinocchio. Such a great voice. Best Quote: “What’s the matter with his ears? I don’t see nothin’ wrong with ’em. I think they’re cute.” — Timothy Q. Mouse (Edward Brophy) in Dumbo. This movie was actually adapted from a novel. The character Thumper wasn’t in the book. He was created for some much needed comic relief. The 40’s was a great decade for Disney classics (and apparently ones with one-word titles). These are all fantastic movies, but there’s only room for one at the top. Which one would you pick? Did you hear that Pocahontas never had a romance with John Smith? Or that King George VI overcame his stammer at least 10 years before WWII (The King’s Speech)? Or that Jimmy Malone, lead character played by Sean Connery in The Untouchables, never even existed? How about the fact that the zoo in We Bought a Zoo is actually in England, not California? It can be frustrating. If we watch a biopic and don’t like it, hearing its inaccuracies just fuels our distaste for it. And if we liked the movie, well that’s even worse. We feel betrayed. Like we just found out the tooth fairy isn’t real and we’re a little put out with our parents. But there’s a reason why this happens in movies. It’s important to remember that biopics are entertainment-based cinema. They are based on true events, not documentaries giving a sequential account. A simple retelling of every event in Mother Teresa’s life put on screen may prove to be boring (And does her legacy deserve boring?). Her sacrificial life evolved over many years, so how do you translate that in a two hour motion picture? In The Elephant Man, we see a severely disfigured man who is mistreated and utters the now famous line, “I am not an animal! 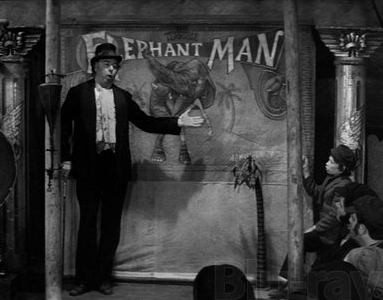 I am a human being!” But despite the fact that John Hurt looked very much like Joseph Merrick (the real life Elephant Man), the movie’s subject actually lived a fairly peaceful, uneventful life—though very short, dying in 1890 at the age of 27. But what this movie depicts is perhaps more real than Merrick’s actual story. Read the news and you’ll see just how badly we need to hear this message. The aboriginal children who grew up attending residential schools here in Canada and suffering horrific abuse cry out: “We are not animals! We are human beings!” Innocent Syrians seeking refuge in other countries as their own gets torn apart by war cry out: “We are not animals! We are human beings!” The minorities fighting for human rights. The mentally ill wishing to be understood and helped. The prisoners of human trafficking. 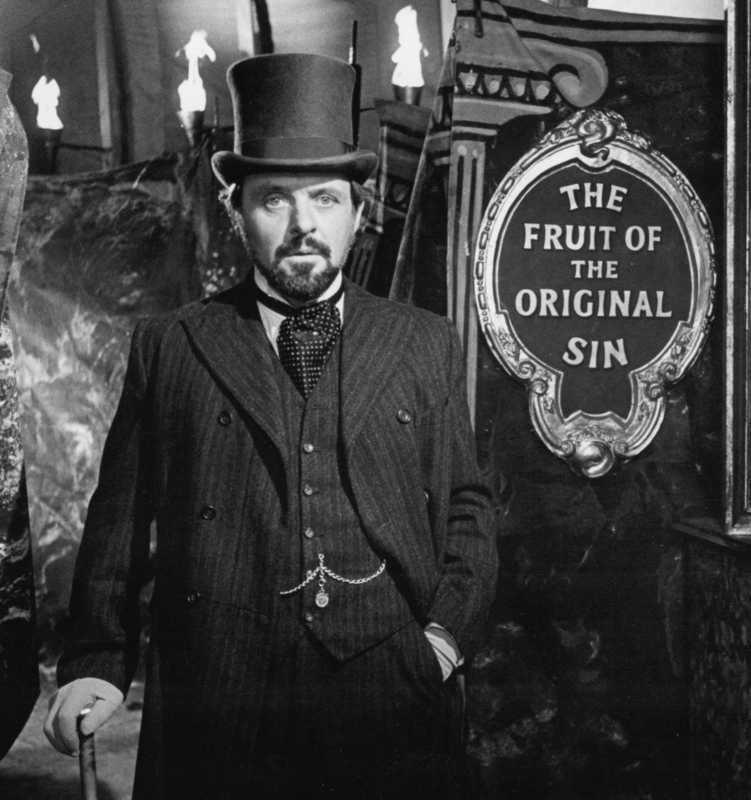 And we must become Dr. Treves, face that ugliness, and let it change us. After all, we are not animals. We are human beings. Congratulations The Elephant Man. This is your week. Best Actress: Margot Robbie in The Wolf of Wall Street. I can’t wait to see her in The Suicide Squad this summer. 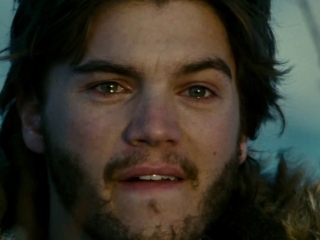 Best Actor: Emile Hirsch in Into the Wild. By the way, I promise you this movie will not only please you, it will leave a lasting impression on you. Best Quote: “Happiness is only real when shared.” — Christopher McCandless in Into the Wild. Did you know that the visionary behind The Elephant Man was none other than Mel Brooks? He left himself out of the credits because he knew people would have the wrong idea about the movie seeing his name attached. It’s also interesting to note that it was because of this movie that a new category was added to the Academy Awards: Best Make-Up. And are you a fan of Bradley Cooper? If so, you can thank this movie. It’s the reason he decided to go into acting.